Yep the rain is back. It wasn’t even gone long enough for me to miss it. Good thing I have plenty of umbrellas ready right? Like nine of them. Now that’s a bevy of brollies. I think Jane and Marieka from Quilt Group were spot on with the dark grey sashing. I love it! I think it sets the blocks off beautifully. Black might have been a little too stark. I’m kinda loving these just as a little strip of three. Wouldn’t that be cute hung over the brolly bucket? Or whatever the fancypants name is for a brolly bucket. Originally I planned for the blue square to have an upside down umbrella. I.e. blue sky background, umbrella not needed, therefore carelessly tossed upside down. Sounds all artsy and deep-thoughty. But it looked crap. So the brolly went back up the right way, and it’s only as I’ve posted these photos I realise that means the handle that I had carefully organised to be in the same direction as the others… now isn’t. Oh well. So this mini measures around 12.5” square. So those umbrellas are small. You can’t tell that from the photo though! So there are a lot of seams close together in there. Which brings me to my next dilemma… how do I quilt this? Do I quilt it? Or do I just whack some batting, backing and binding on it and call it a day? (Well I’ll call it Rainy Days actually). But guess what? I also popped in some extras! As the points on this block are pretty fiddly, I also added a variation that has no points, but a nice tidy stripe, and also a third variation that’s nice and easy with no points or stripes. So how about that – three for the price of one! Bonus! 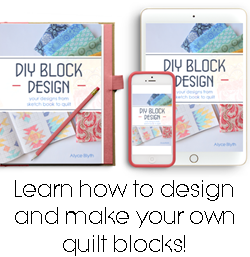 If you happen to make this block – I would love to see how it turns out! I have plans to one day make a whole quilt full of umbrellas. But I really should take care of this mini one first! While we’re talking paper piecing – it’s official! The Practically Paper Piecing Blog Hop will start on the 1st August. It’s going to be great fun! You can read a bit more about it here. As for the rest of my WiPs… Peacocks in the Garden remains shoddily quilted as I have not yet had the heart to unpick the quilting. Plus I’ve been having too much fun paper piecing to do something as dreadful as unpick quilting stitches. But I will get to it. Eventually. It looks lovely, and I only noticed the handle on the blue umbrella when you pointed it out! As it is obviously a bit of a rebel brolly, it suits it to have a different handle. These are too cute and always cheering me up a little - no good weather over here, either. It's raining as I type. I would totally have tried to go all arty and meaningful by putting the blue one upside down, too, haha, but I think the handle encapsulates its difference perfectly without being too obvious. I thought you had purposely made the handle go the other way - it looks cool!! Especially as the backing is blue and stands out anyway. Love it - so teeny cutesie! This is cute as can be. I love that one has the handle going the opposite way. Thanks for sharing this. Now I thought the handle facing the opposite way was a deliberate thing to go with the blue block. Sometimes it pays not to say anything and let it stand as it is! As its so small I think I would just run a line down the centre of each of the grey sashing strips to hold the wadding together and leave it at that. Although I like Celtic Thistle's idea of the raindrops but maybe coming straight down in some blocks and on an angle in others and with none in the blue block. Either way its very cute and the grey sashing is perfect as it reflects a rainy day. Yep I am in agreement with the faithful followers "we all thought the handle was deliberate and clever". It is such a cute mini-quilt. I have to agree with Fiona about doing some handstitched angled rain but that's because I found a new love for hand stitching. Remember my raincloud mug from the Zakka Sew Along? This turned out great, I love how you made that center block different. I thought the backwards handle was intentional too, so it works well! It is very whimsical! This is so adorable! I like what Celtic Thistle said about the "rebel brolly" (hahaha!) and I completely agree! Wish we had some need for brollies here--the poor crops are looking MIGHTY sad here in middle America. I love the fact that the one umbrella handle is going the other way. The umbrellas look so fun! The one with the backwards handle looks quite cool in the middle like that! Your mini umbrellas look great! 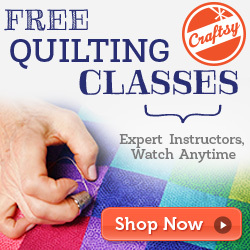 I think the idea of trying to quilt with a rainy looks sounds brilliant. It looks fab Kristy! I much prefer this layout to the one with the upside down umbrella, and I think it's kinda cool that the handle is opposite :). No ideas for the quilting I'm afraid! Lovely whimsical mini! And I think the 'odd' one out is perfect, otherwise it would be all matchy matchy and that is never as much fun. Can't help with the quilting sorry - but I'll be interested to see what you end up doing. Fantastic umbrellas and so great that one marches to a different beat!